Right now, Volvo is offering impressive deals on new vehicles. See the best Volvo has to offer both nationwide and locally. When you purchase a Certified Pre-Owned Volvo, you’ll have the same confidence and pride in your vehicle as you would a brand-new one but without the new-vehicle price tag. Volvo Winnipeg is proud of our relationship with Volvo and their three core values of safety, quality and environmental care. These core values are the foundation on which every Volvo is built and are ultimately responsible for the reason why Volvo produces some of the safest and environmentally responsible vehicles on the road today. 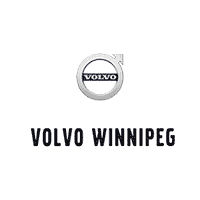 So on your next visit to the Pointe West AutoPark be sure to stop in and see us at Volvo Winnipeg. Our knowledgeable staff will be happy to show you around and answer any questions you might have.